In his book Patterns of Intention (2006), Michael Baxandall places criticism as an activity primordially connected to the techniques of replication of artworks. For instance, Lessing’s well-known critical text on Laocoön, dated from the eighteenth century, would have been made based on engravings or replicas, rather than the original piece. Diderot, considered one of the first modern critics of art, also kept the question of direct access to the work as ambiguous, and, according to Baxandall, did not make clear, in his writings, whether or not he had stood before the works he chose to dedicate his critique. In contemporaneity, however, the necessity to relate to the original work seems to be a primordial aspect for critics. A good example is the text in which Thierry de Duve compares the exercise of critiquing to a love relation, implying a process of approximation and bflirtb with the object. Criticism would appear from btouching and being touchedb by the work. Which relation, in these terms, would be possible with no direct involvement? Although the necessity of relation to the original artwork is nowadays a given aspect for critics, the issue of originality does not produce that many certainties. The relevance of this notion has long been challenged in the art world, an exhaustively explored theme following Walter Benjamin’s presuppositions. However, it interests me to examine another point of view: the recognition, in the current panorama, of the reflections of the challenge imposed to the concept of the original by ephemeral and experimental practices of the 1960s and 1970s, linked to the dematerialization of art. In the last ten years, a series of initiatives have been taken in regard to these practices, aiming at answering the question of how to present them from a retrospective look, thus conserving the potency and vitality of the first proposals. To analyze these initiatives is necessary to first state that, when I mention experimental practices of the 1960s and 1970s, I refer to performances, happenings, events, proposals of art with disparate poetics and researches - Alan Kaprow, Bruce Nauman, Hélio Oiticica, Lygia Clark, among others - that I gathered here under the general denomination of experimental practices to think about the ephemeral character that spans them, imposing challenges to the concept of the original. It is yet important to highlight that these works, now transposed to the expository context of the museum, initially came up detached from this ambit, affirming the presence of art in other contexts, its independence in relation to institutional spaces and legitimation, and, ultimately, the dissolution of art in life. The debate on how to bring these practices back to the scene is now centered on methods and strategies for its presentation on the museological context, often alluding to the notion of original, that would, at first sight, seem to pass by the conversation about this kind of production. After all, what is there to think of the original when the very concept of artwork was judged obsolete by artists who acted through experimental practices? What does such concept start to delimit when it is detached from a material object and transposed to a temporal relation - the moment when the happening proposed by the artist unfolds? Guy Brett was one of the most important critics for the consolidation of these practices theoretically, in addition to being one of the first to remark that the attempt of artists to challenge museological culture was in vain. Although they proposed another meaning for art, no longer satisfying the concept of artwork, of artists as creators, or even originality, posterior assimilation of their practices by museological institutions ended up contaminating them, converting videos, photographs, and registers into artworks, as well as the elements which took part of these actions. The notion of the original then gains different layers: the happening itself; the objects originally used throughout the actions; the registers that refer to the context in which the happening had originally taken place. It would, for Guy Brett, indeed be a purist attitude to consider that only performances or proposals in their original contexts are valid, indicating that registers, photos, objects, documents, and other materials linked to the memory of the action should be considered on the reenacting of these practices. But the author recognizes the fact that these materials and objects many times sound like bsad relics’ in exhibition situation, since they were not prepared by artists to hold this kind of space, losing their vitality in this transposition. Even so, one of the most recurrent strategies for the retake of such works in museological space is the exhibiting of objects, photographs, and archive materials which refer to the happening b what ends up creating relations between museumsb collections and their nucleuses of documentation and research. Having elected what will be kept and presented as original works, what follows is the choice of working, in the case of proposals that involve objects and pieces to be handled and experimented by the public, with the idea of replicas. Just like Brett identifies the remaining elements of these practices as sad relics, Suely Rolnik considers them “emptied carcasses of the artwork’s vitality”, materials pertaining to a dead file. For her, it is not enough to resort to archives and registers, without having these proposals reworked through renewed strategies and readings, which allow connecting the public with the affective potential of artists’ action. Marina Abramovic also recognizes, specifically dealing with performance, the partiality of this kind of exhibition, based on registers and documentations: ”there are photographs, slides, video footage, etc., but I think these presentations can never stand for the performance itself, it always lacks something”. That demonstrates, some years after exhibitions based on the aforementioned format, that presenting the originals which are considered by museological space as worthy of representing these practices, new discourses and strategies start to appear, founding other paths. One of these strategies comes from Suely Rolnik’s substantiation that “if it is in fact impossible to repeat such actions a posteriori, finding manners of communicating them is imposed as an unavoidable task”. To give back the breath of life to Lygia Clark’s oeuvre, the one she did not feel in the exhibitions that worked only with what she named dead files, the researcher chose the resorting to memory as strategy, guided by the task of creating conditions for the transmission of bwhat is behind the body thingb that Lygiabs proposals intended to activate. Rolnik agreed with those who participated in Lygia’s final proposals, connected to the therapeutic ambit, and their discourses which were impregnated by that time’s context, to restitute meaning to the worksb vestiges. More than sixty interviews were made with Lygia’s patients, conducted by Rolnik and registered in Brazil, France, and the United States. As the aftermath of this project of activation of memories of twenty-six years of corporal investigations, Rolnik built the exhibition Somos o molde. A você cabe o sopro. Lygia Clark: da obra ao acontecimento [We are the mold. The breath is up to you. Lygia Clark: from the artwork to the happening], adding videos with interviewees’ speeches to registers of epoch and documentation of actions. The intention was for the potency of Lygia’s work to remain echoing today, coming from the bodies that were its first home. In this way, the curator of the display and mentor of the project dislocated the focus of the exhibition from the original to the originary b from the presentation of originally-used objects in Lygia’s actions, which currently quieten, to the experience they evoked in patientsb bodies, triggering sensations and emotions worked by the artist on the therapeutic process. In the curator’s words: ”films pervaded the exposed group of objects and documents with living memory, thus restituting their senses”. This example makes clear that from the moment one seeks to go beyond conventional forms of presentations of these practices, one needs to plunge into the poetics and the context the proposer artist worked and investigate the effects of their actions, in order to think about proper ways of activation to each kind of proposal. In the case of performance, the boldest strategy used to think through works from the 1960s and 1970s, was formulated by Marina Abramovic. In the artist’s words, who works with performances since the 1960s and was one of the responsible for the establishment of this language inside the art field: ”performance can only live on if it is presented again”. Her proposal is one of reperformance of historical works - reenacting performances by other artists and from other eras - as an alternative so that actions that marked the history of this language do not remain left into oblivion. We are now back again dealing with the problem of originality: Obviously, there is the problem with the concept of the “original artist”, with the possibility of anyone who might want to reenact a performance may place themselves inside it and be able to achieve a different interpretation. Because of that I have been working with the idea that today, in the twenty-first century, some of the performances from the past (...) might be reenacted and what kind of rules we should propose, holding the quality of performance artists, to the people who feel invited to reenact these works. In the Seven Easy Pieces exhibit, presented in 2005 at the Guggenheim, Marina acted on the reperformance of seven works, among them Body Pressure (1974), by Bruce Nauman, and How to Explain Pictures to a Dead Hare (1965), by Joseph Beuys. On the occasion, however, she also developed matters which are implied in her own poetics, such as the dilatation of time, extending the duration of all performances to the very working hours of the museum. AbramoviDbs commitment to the original is manifested in her speech, since she claims to having rigorously maintained the structure of such performances as they were proposed by the artists, besides having made a deep study of the original material. This concern is also manifested through the decision of not including, in Seven Easy Pieces, a work by Chris Burden, who did not agree to see one of his performances reenacted. Artistsb permission was one of the conditions for the selection of works that would compose Abramovic’s demonstration, and the artist frames her reenactments not as copies, but as versions. Freeing The Body (1976). Performance by Marina Abramovic. Still shot from video shown at the exhibit Terra Comunal, by Marina Abramovic. Sesc Pompeia, São Paulo, Brazil. April 2015. Photograph by the author. Looking for a new alternative concerning the destiny of performances, which, for Marina Abramovic, ceases to exist at the moment the public abandons the space of presentation, what is then proposed is the category of historical reperformance, which makes the concept of the original to regain meaning. After all, from the possibility of appearance of versions and reenactments of performances, it is important to delineate from which artist, poetic context and research, each performance initially arises. This has an impact on an intriguing question: Body Pressure, by Bruce Nauman, which made Abramovic’s selection for Seven Easy Pieces, had never got off the page and had still remained only as a project, in the shape of instructions handed out to the public to be performed. From this discrepancy between the form which the original performance was enacted - written instructions on a sheet of paper - and the form which Abramovic reenacted it - making the instructions come true before the public - a series of questions to be worked arise: in this case, how do the original and the version relate to each other? If the instructions were to be executed by the public itself, what is the experience being proposed when they are put into practice by an artist, leaving the public with a contemplative role? Is the reenactment, in fact, an alternative that changes the destiny of the original performance or are we talking about another action, with other intentions, potencies, effects? I think these objects are to be used and destroyed; the ones I make too. It is only logic that there are people wishing to preserve them. But I think it would be better to preserve the dynamics of this thought, what it provokes, and the dynamics of you being able to do it, instead of creating objects. The dynamics of thoughts provoked by experimental practices in the 1960s and 1970s, as Tunga enlightens, is what needs to remain, what needs to communicate. This dynamics and its effects are still present, even if not easily traceable in the current context of art, dominated by market relations. To perceive them, it is necessary to be always open and in search whether among originals, copies, replicas, versions or among experiences, speeches, remembrances. I finish this reflection with some of Lygia Clarkbs words: ”Only the instant of the act is alive. The about-to-become is inscribed in it”. The intentions of these artists to make every single moment unique were so alive that we currently try to create conditions in order not to, somehow, forget them. Why do not we respect the ephemerality of the original act, leaving it behind? The babout-to-becomeb has been inscribed in us. We want to be it today. There is something that still keeps us from abandoning what resonates and resounds from the original act. BRETT, Guy; MACIEL, Kátia [editors]. Brasil experimental: arte/vida, proposições e paradoxos. Rio de Janeiro: Contra Capa Livraria, 2005. In the Brazilian context, one example is the exhibit Vestígios b memória e registro de performance e site specific, curated by Tobi Maier and students from the Laboratório de Curadoria. The exhibit took place in the facilities of the library of the Museu de Arte Moderna de São Paulo, in November 2014. The exhibition design gathered photos, texts, invitations videos b all the documents which, according to the curatorial team, were capable of materializing works founded on immateriality. In the Brazilian context, one example is the exhibit Hélio Oiticica - O Museu é o Mundo, curated by César Oiticica Filho and Fernando Cocchiarale. The display took place from September 11th to November 21th 2010, in different places in the city of Rio de Janeiro. Replicas of Oiticicabs Parangolés could be worn and handled by the public. Ana Bernstein entrevista Marina Abramovic (translated by Maria Helena Bernardes). In: BERNARDES, Maria H.; FLCRES, Melissa (editors). Caderno de textos Arena Cursos. Porto Alegre: Impressos Portão, 2011. ROLNIK, Suely. 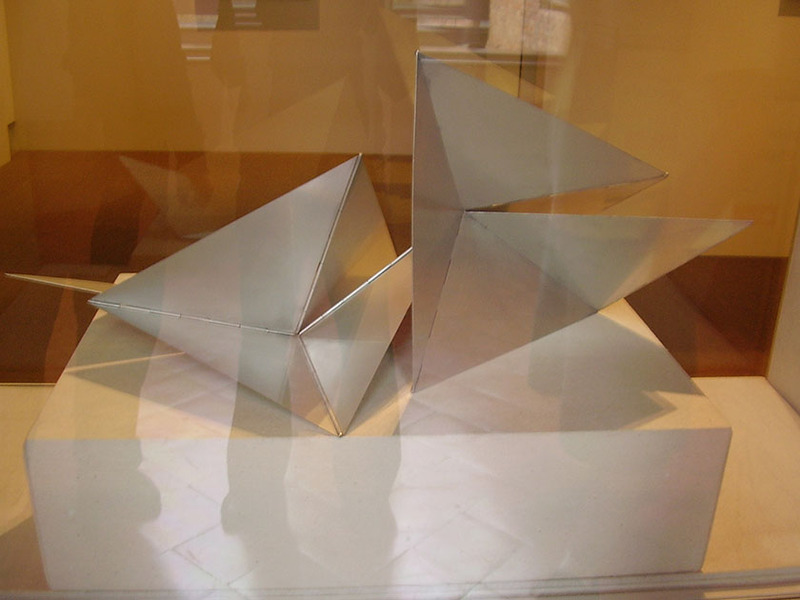 Lygia Clark: da obra ao acontecimento. Somos o molde, a você cabe o sopro. São Paulo: Pinacoteca do Estado de São Paulo, 2006. The project was developed by Suely Rolnik from 2002 to 2007, aiming at creating conditions for the reactivation of the workbs scathe in its return to the institutional domains of art. CLARK, Lygia. A propósito do instante. In: Lygia Clark (catalogue). Barcelona:B Fundació Antoni TC pies, 1997. Paula Luersen is currently a PhD student of Visual Arts b History, Theory, and Critique (Federal University of Rio Grande do Sul). CAPES Scholar. She directed the art hall Quiosque da Cultura for two years. Master in Visual Arts (Federal University of Santa Maria). Has a major in Visual Arts (Federal University of Pelotas).